Insuretech surely isn’t a new buzz word, but it is ever evolving. From digital agency management systems to sales platforms and claims management – the P&C industry is slowly embracing the wonders of technology. Albeit far slower than other industries. When it comes to claims management, specifically in the property space, many carriers are heavily reliant on the human factor. As far as I know, we don’t have robotic teams going out inspecting CAT events, chimney fires, building collapses, and the like – but we are using drones, video technology, and more. For many insureds and claims adjusters, the pain comes from cataloging personal and/or business property before and after a loss. In many instances, an adjuster will visit the scene of the loss multiple times to take pictures, inspect areas, review data, etc. The process is slow, painstaking, and, in some instances, can be incomplete. The use of technology to capture the value of not only the property, but the contents before and immediately after a claim, and then having access to that data throughout the claims process and even during a litigation situation, cannot only can save time, but more importantly, it’s a TRUE representation of the property and contents. 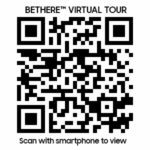 I spent some time chatting with Grant Breck, CEO and Simon Wojcik, COO of BeThere Virtual Tours. The two hail from Australia and are changing the way insurance claims are handled. Beck, a former carpenter turned specialized fire investigator & insurance claims adjuster became frustrated with the process of property claims management. “During the claims process, I would have to go back to the scene multiple times, inspect, take pictures, and then analyze the data. Often there were no before images to compare the post claims images to, and to add to the frustration, we were reliant on the insured to remember what they had, what was lost. The process was slow, it was painful, and surely not cost effective. It never gave a true indication of the situation,” said Beck. Beck knew that using technology was the answer. More importantly, he knew the quicker a snapshot post claim was taken, the more accurate the data would be. That’s where Simon Wojcik comes in. 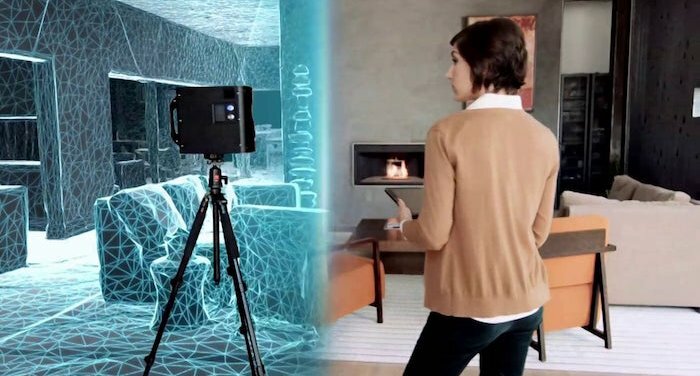 Wojcik is an expert in immersive technologies specifically in the 3D Virtual Space. 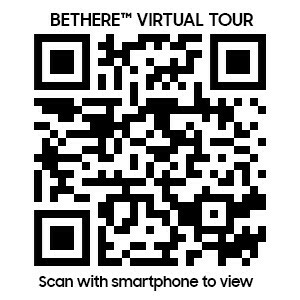 Beck and Simon collaborated to launch BeThere™ Virtual Tours. Combining the insurance and property expertise from Beck with Wojcik’s technology magic. Their pitch? “What if you could walk through any claim, at any time, right from your desktop”. No sifting through hundreds of ill taken pictures, no going back and forth to the scene. Within 48 hours of a claim, the adjuster, the carrier, and even the insured can view the BeThere 3D Inspection including a virtual tour of the whole property, 360 degree images as needed – ceiling, entry points, yard, doll house view (3D view), Floor plan, schematic floor plan (volume/measurements) and tour location specific data (images, photos, inspection site notes). Here’s a sample of what they can do. (CLICK HERE) or scan the QR Code below. What I love about this Insuretech process is it doesn’t replace the human factor, it just enhances it. 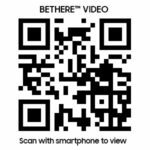 We still need experts to analyze data, but now with BeThere’s technology, it can be done a hell of a lot quicker and more accurately. During a CAT event, teams of 3D technicians can be deployed quickly and the data qualified and quantified far easier. Thereby reducing the time to get insureds back on their feet. Stacey, Fraud and Investigations Department, Auto & General Services. Will robots replace humans in the claims process? Probably not in my lifetime but introducing technology like Grant and Simon’s into our current claims process on the P&C side just makes sense. The great news for carriers and insureds – the Australian team has perfected their process to make it very affordable to everyone involved. I don’t know about you, but a carrier who teams up with these two will have a leg up on their competition. When will they head stateside? Grant noted it was already in the works. Stay tuned. Entrepreneur Whisperer. Story Teller. Marketing Consigliere. Business Builder and Launch Girl. Avid People Connector. Serial Entrepreneur. Red Barn Consulting has expert level consultants in the areas of Marketing, Sales, and Business Operations. We get to know our clients intimately by studying everything about their WHY, values, passion culture, leadership, management, and operations so we may provide solutions that make the best sense for your unique business. We specialize in working with Insurance, Banking and Finance, Healthcare, Entrepreneurs, Coaches and Consultants. Give us a Call, Drop us an Email – heck we even like Snail Mail!